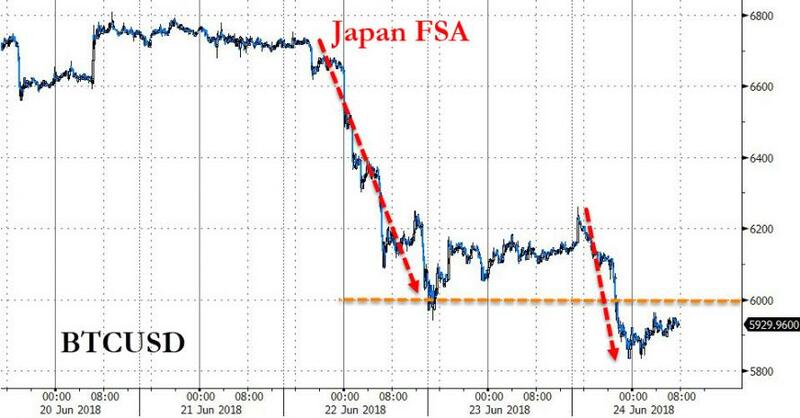 Crytpocurrencies have taken another ugly leg lower overnight - on no new news-driven catalyst - extending the losses from Japan's FSA crackdown and sending Bitcoin back below $6,000 for the first time since Feb 6th. 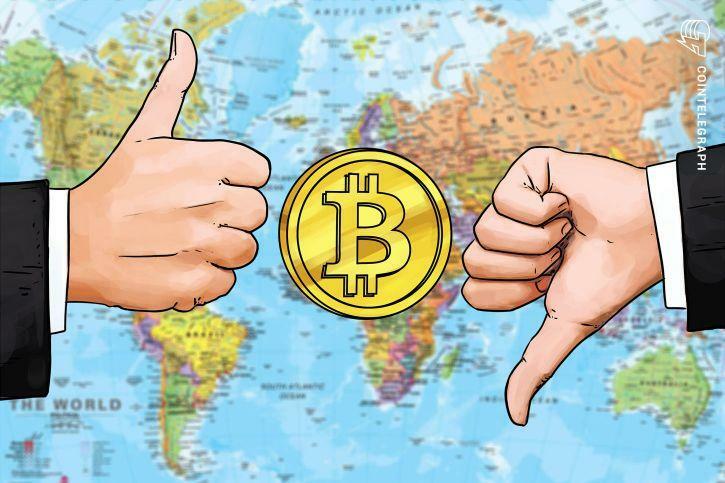 But while it is clear that many are throwing in the towel on the crypto space, CoinTelegraph's Helen Partz reports that the current bear market is not a funeral for Bitcoin “whatsoever,” CEO of BKCM LLC investment firm Brian Kelly said on CNBC's Fast Money segment June 22. To back up his statement, Kelly provided three key factors. 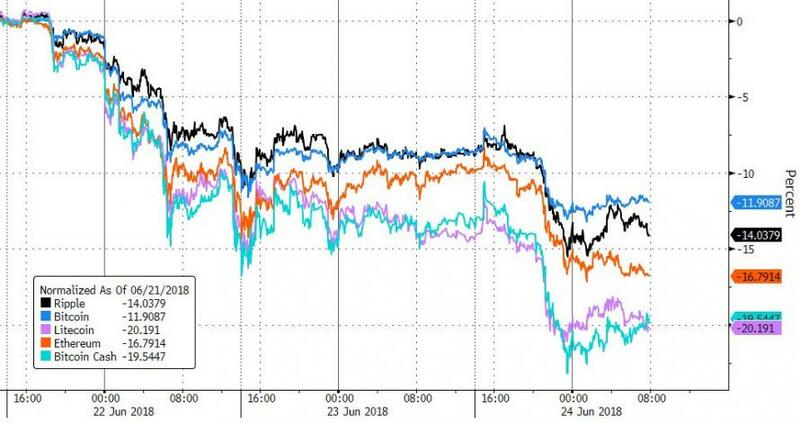 First, he pointed out that the market sentiment is “approaching lows,” implying that a trend reversal is likely to follow. 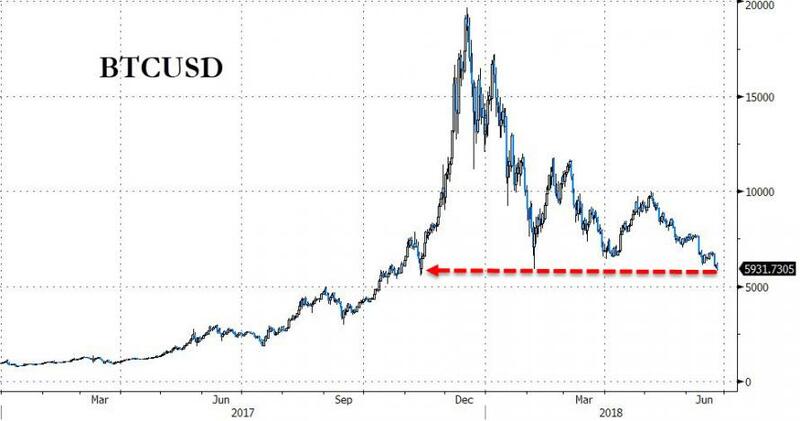 Kelly called attention to the fact that Bitcoin is still trading at the same level as back in November 2017, whereas a year ago its value was 60 percent lower - around $2,500. Third, Kelly brought up the announcement by Mt. Gox to reimburse its customers and begin civil rehabilitation proceedings, following the $473 million hack in late 2013 and the resulting bankruptcy. Mt. Gox was considered to be the largest hack in the history of crypto, until this year’s $534 million Coincheck hack. 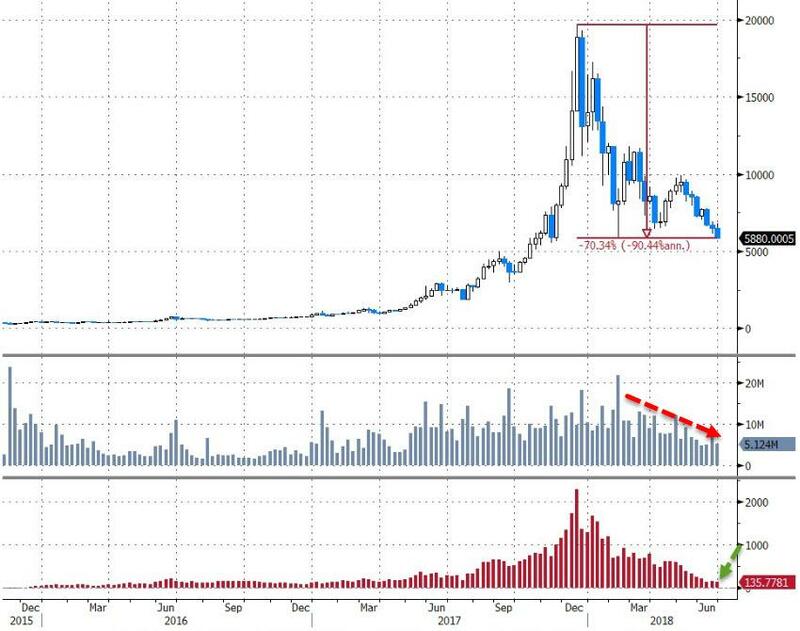 On June 5, Cointelegraph reported that Bitcoin has been declared “dead” for the 300th time, according to the 99Bitcoins “obituary list.” By press time, the cryptocurrency has “died” 315 times, with 69 “deaths” taking place this year alone.